de Cor's Handmades - Malaysia Handmade Jewelry: May You Rest In Peace, Steve Jobs. May You Rest In Peace, Steve Jobs. Glad to be born in an era that had you. Honored to have a piece or two of your art work. You will be missed. 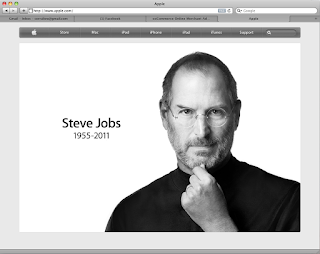 May you rest in peace, Mr. Steve Jobs.